marital bless: And she's here! Bound and determined to do things just a little differently, Miriam Joy Fontaine completely shook our world upside down yesterday! Born at 4:57pm, weighing in at 7lbs 8oz and 20" long, our sweet girl is just exactly that! She looks spitting image of her big brother Isaac, but with hair! Oh, the hair! Yay! Congratulations, Leah! Can't wait to read her birth story :). She's beautiful! I stumbled upon your blog just a few days ago and after jumping around a bit, realized how close you were to having your little beauty and have been checking in and praying for you each day! 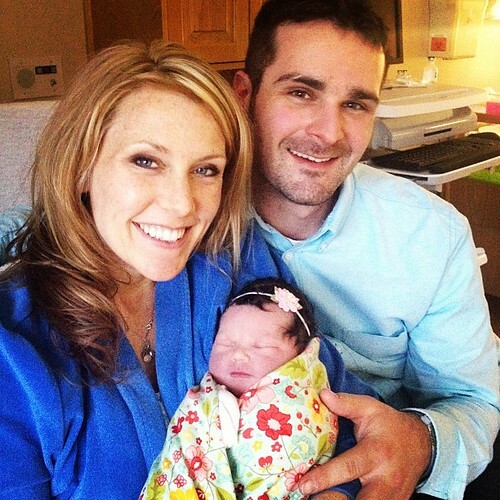 Congratulations on your gorgeous baby girl! My daughter also came along after I felt pretty secure as a "boy mama" and while yes, the experience is so different, she is going to add so much sparkle, literally and figuratively, to your lives! 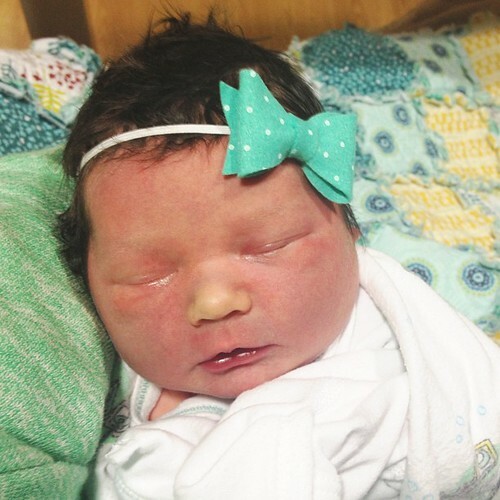 I hope you get to bask in her newness and soak in the love her big brothers will show her! Congrats!!! Oh I am so happy for you! Congratulations! I can't wait to hear how your boys are doing and just more about her in general. I cannot believe that hair! Wowzer! I hope your birth went well, despite all of the worries you had about your midwife, photographer, etc. I can't wait to read the story. Good luck settling in to a family of 5 over the next few days! P.s. She's beautiful!!! Congratulations!! Love all that hair! She's a cutie! Congratulations!! What a beautiful sweetheart. Congratulations Leah!! She is beautiful. I just returned to working DT after 9 weeks off with 2nd son Logan and I wondered if we'd bump into one another before your sweet girl arrived. Enjoy this addition to your family!! What a precious baby girl!! I am so excited for you all! Congratulations, Leah! She's so sweet! Congratulations Leah and Tony on the birth of beautiful Miriam Joy and also to big brothers Isaac and Ezra! Baby Miriam is so sweet. Her names are lovely. Leah hope you and Miriam are doing well. Wishing many blessings on gorgeous Miriam Joy's life. Congrats to all 5 of you :) she is precious and did you seriously just give birth yesterday?! You look amazing!! Congratulations! Enjoy your sweet gift! I feel a bit the opposite from you since I just became a boy Mama about as month ago to my Adam after having enjoyed being a girl Mama to my sweet Evelyn born in June 2011. Have fun! Having a daughter is amazing. But be forewarned, watching Father of the Bride and hearing the song Butterfly Kisses will never be the same! Congrats! She's beautiful and I love her name! beautiful baby girl, beautiful name, congratulations from another mommy of 2 boys and 1 precious girl! Congratulations! I am so happy for your sweet family! She beautiful !! I can't wait to hear about her arrival. Congratulations !! Yay! Congratulations!! She's perfect! Can't wait to read details! Oh my goodness....that hair! Congratulations to you all! She's absolutely gorgeous! Congrats!!! What a beautiful little girl with a beautiful name! I am so over the moon happy for you! So glad she's here! Congrats.